Let learn something useful today. I always dreams to wear jacket every day because I feel like jacket can make the outfits look so stylish and I feel secure but living in this humid country make my dream not going come true very soon. So, the solution is wearing my button up shirt since the fabric is very soft. 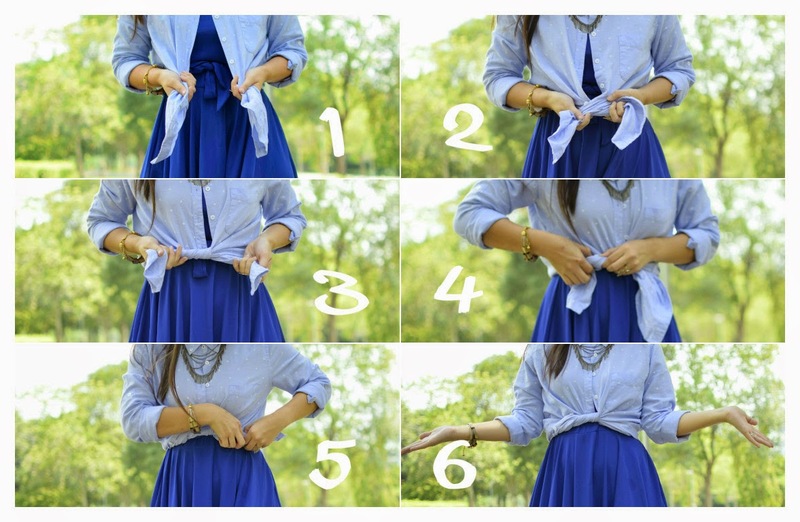 Here is how to wear a button up shirt over a dress or skirt. 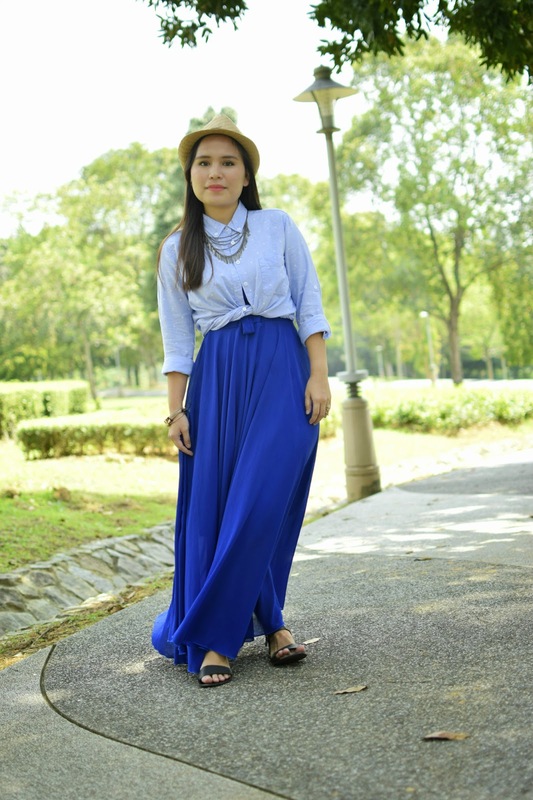 If you feel insecure with your knot, I recommend to wear belt first and put your shirt inside it later. See you on next outfits tips series next time.